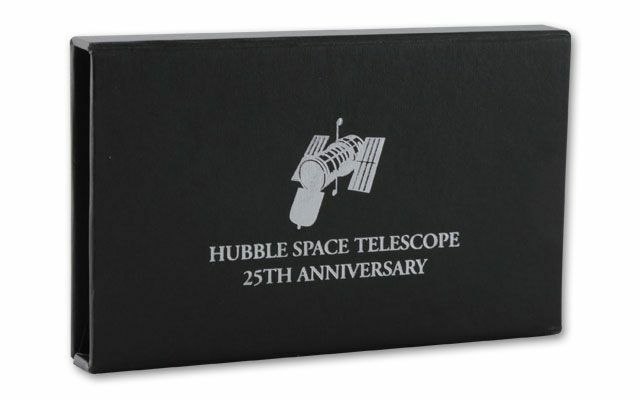 One of NASA's most successful missions, the Hubble Space Telescope was launched in 1990. 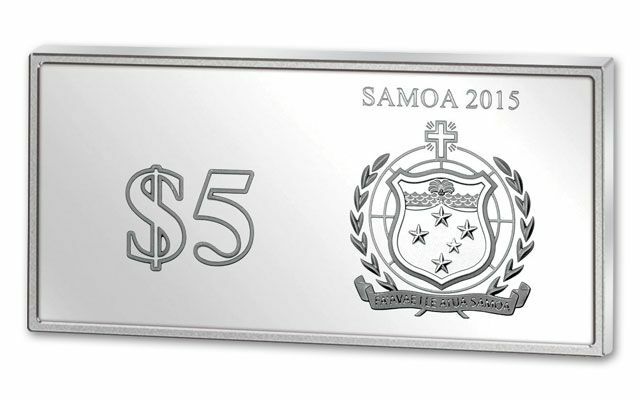 Now, the 25th anniversary is celebrated on this 2015 Proof-like. 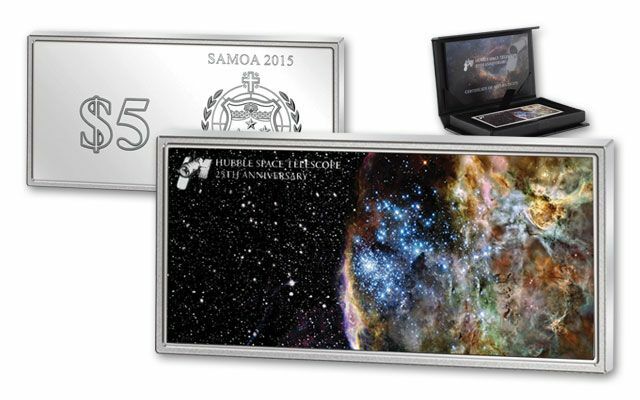 Struck in 31.103 grams of 99.9% fine silver, each $5 legal-tender coin depicts a colorized space scene with a silhouette of the Hubble Space Telescope in the upper left corner. 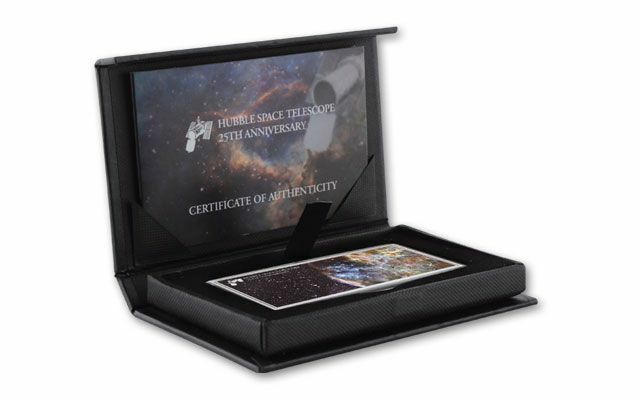 Each comes in a mint box with a certificate of authenticity. 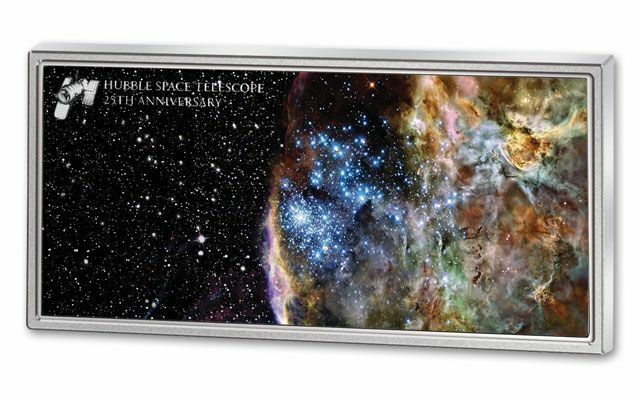 Only 1,990 will ever be struck. 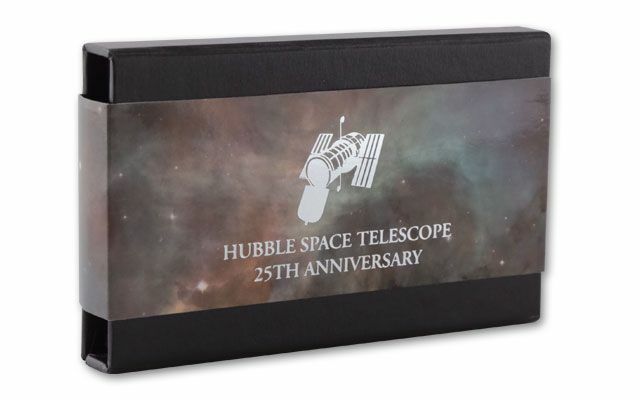 The Hubble moves at about five miles per second - we're expecting these to ﬂy out of our vault about as fast.